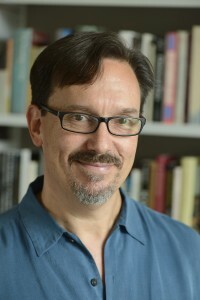 Mitchell B. Merback, a Johns Hopkins University art historian, is among 178 prominent scholars to win 2016 Fellowships from The John Simon Guggenheim Memorial Foundation. The Guggenheim foundation selected Merback from an applicant pool of nearly 3,000 scholars, artists, and scientists. His award is in the Medieval and Renaissance History category. The fellowships are for six to 12 months and are intended to provide blocks of time to work with creative freedom. The amounts of grants vary. In 2015, Johns Hopkins had two winners, anthropologist Niloofar Haeri and Lawrence M. Principe, a historian of science and a chemist. The fellowships were established in 1925 by former U.S. Sen. Simon Guggenheim and his wife, in memory of their 17-year-old son, John Simon Guggenheim, who died in 1922.